For the past two weeks, I've been in London doing some work experience for my favourite food magazine, delicious.. I had a lovely time - they're a great bunch of people - and learnt a lot about the food business. I scheduled a few posts so hopefully there wasn't too much of a gaping hole. I'm sorry if I haven't replied to any messages or comments. I have to apologise for the quality of the photography in the posts about my mum's book party - it was rushed and badly lit. I didn't really realise how bad it was until I came back and saw the posts. I'm now off to Italy for a few days on holiday with my mum before I head back to Oxford next week. We only really decided to go this morning, so I haven't got any written posts up my sleeve. When I get back I'll get baking - I've missed the kitchen a lot - and maybe share some pictures and stories of my Italian adventures. Meanwhile, here's a little experiment I did before I left. 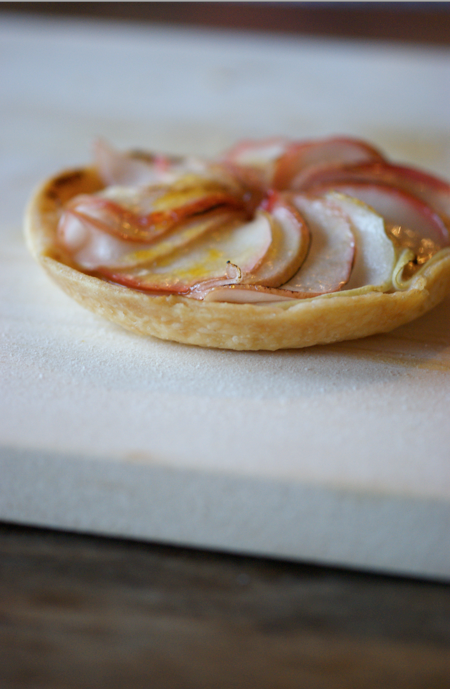 The moment we got the microplane, below, I decided I wanted to try making an apple tart with it. It makes such even thin slices. 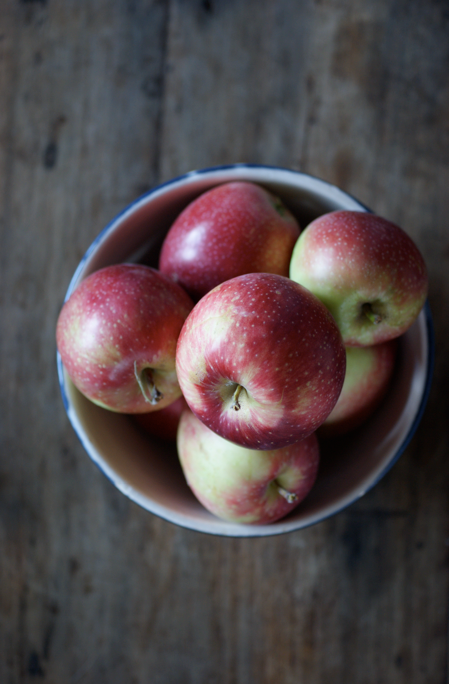 I bought some gorgeous little local apples at the market to make it with. 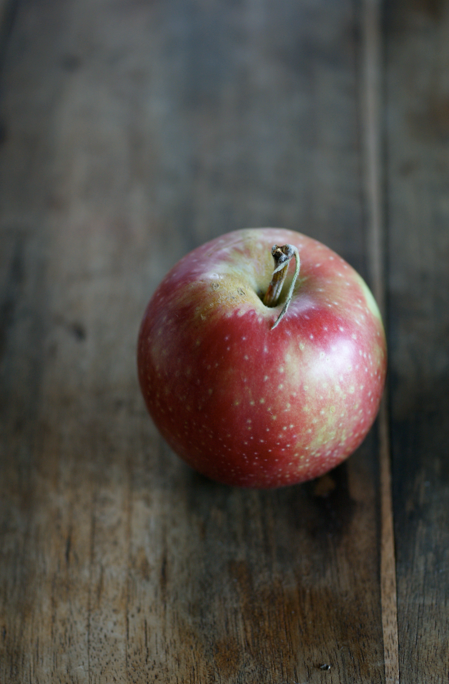 They're just as I remember the apples from my grandparents trees when I was little - full of flavour. In the beginning I was planning to bake my tarts, but then I thought of something a little different. 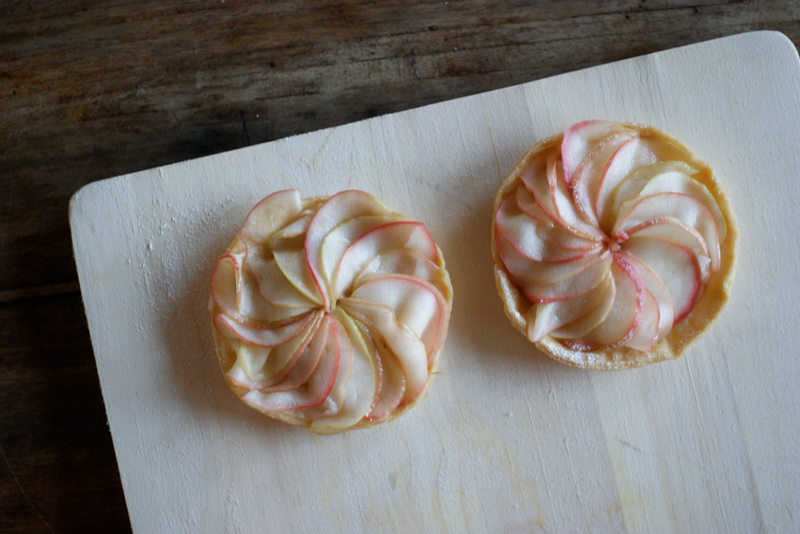 I lightly poached the apple slices in a cinnamon sugar syrup, then arranged them in little sweet pastry cases, sprinkled with sugar and blasted them with my blow torch. Poaching the apple slices worked really well. They were soft and delicate instead of drying out in the oven. To get a proper caramel topping, you need to use a fair amount of sugar. Because of this (and using a sugar syrup to poach them in) I'm going to use cooking apples or at least green apples next time as it made it a bit too sweet. Though the tiny strips of skin looked gorgeous, they did get in the way when eating it. To get that edge with the peel I might try making the sugar syrup red with some red wine or similar. I think another time I might add an almond or cream base to each case to add a little something else too. These definitely have a bit more development to do, but I wanted to share the experiment with you. I've written it down as I originally did it below, without any changes. Rub the cold butter into the flour until it resembles fine breadcrumbs. Stir in the sugar. Add the cold water a little at a time, bringing it together with a blunt knife. When it forms a ball, wrap in clingfilm and leave to rest in the freezer for at least half an hour. Roll out the pastry on a floured surface and cut out into two big circles. Lightly place into a suitable tin. Chill for another half an hour or so. Preheat the oven to 180C. Line with baking parchment and baking beans, then place in the oven. Bake for about 15 minutes, then remove the baking parchment and beans. Put back in the oven until golden brown and cooked through, about another 10-15 minutes. Put all the ingredients except the apples into a medium pan and heat until the sugar has dissolved. Halve the apples and take out the core using a melon baller. 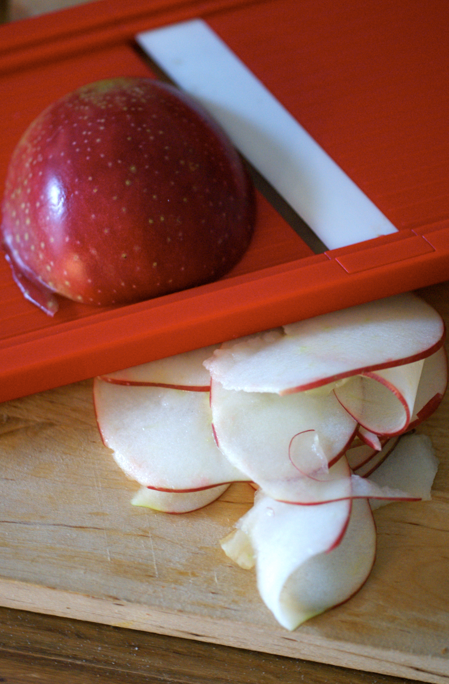 Using a microplane (or a knife), slice the apples very thinly. Put them into the sugar syrup, cover with a circle of baking parchment and a small plate and put on a low simmer for about 10 minutes or until tender. Using tweezers or something similar, take some of the slightly less perfect slices out and line the bottom of the cases with them. Then take the other slices and arrange in a rosette pattern on the top. Sprinkle with sugar and use a blow torch to caramelise. i wish i could just jet off to italy on a moment's notice! not fair! COngrats with the internship! 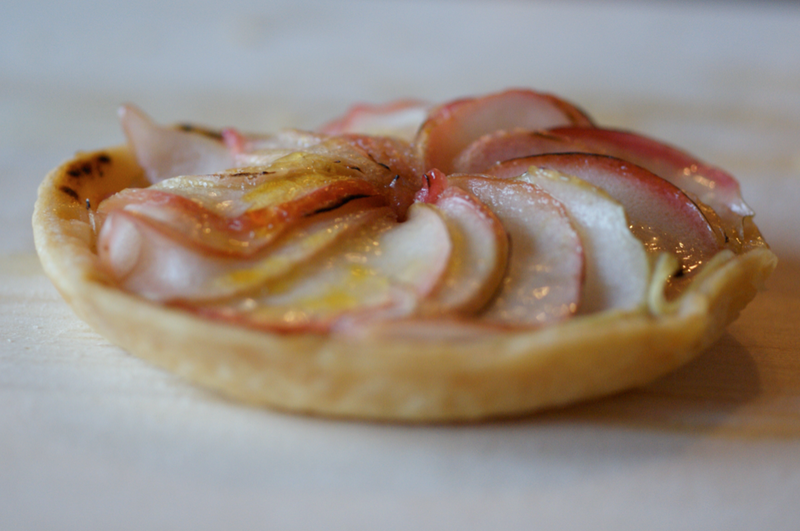 And I really love this tart and how you style it! of skinny jeans will not be a dream after all. low calorie diet and HCG usage.